Although antimalarial treatments are readily available, growing evidence shows that the malaria parasite is increasingly evolving to resist these treatments. However, researchers have discovered that a particular combination of drugs, a compound called DSM265, may provide broader, longer-lasting effects to prevent and treat malaria. The study’s findings show that DSM265 targets the deadliest malaria parasite for humans, Plasmodium falciparum, which depletes red blood cell count by reproducing in the liver. (It’s also the malaria strain that’s becoming more resistant to current treatments.) DSM265 is able to kill the Plasmodium falciparum parasite both in the blood and liver by deactivating the enzyme that the parasite needs to produce its own DNA and RNA (building blocks for generating genetic material). Without this enzyme, the parasite cannot thrive in the body. According to tests in mice and dogs, DSM265 can be administered as a single dose to treat current malaria infections; if taken twice a week, it could be used as a means for malaria prevention. The advantages of the DSM265 drug are that it doesn’t need to be taken daily and it deals with the parasite in the liver, which many current treatments are unable to do. The next step would be testing the drug’s safety and effectiveness in humans. 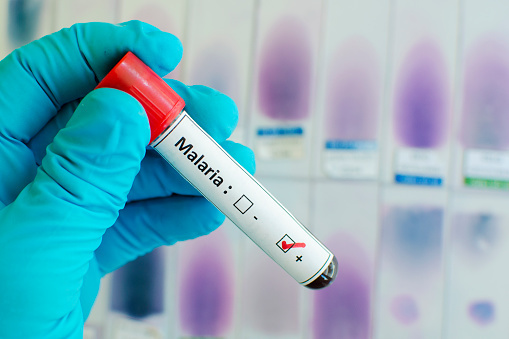 Malaria results in approximately 600,000 deaths worldwide each year. The disease is transmitted through mosquito bites. If left untreated, it can disrupt essential blood supply to the body’s organs, eventually leading to death. Study researchers have concluded that using new mechanisms that effectively work with compounds, such as DSM265, has the potential to overcome the increasing concern with malaria and drug resistance. The findings for this latest study have been published in the journal Science Translational Medicine. Paddock, C., “Promising drug candidate tackles malaria in a new way,” Medical News Today web site, July 20, 2015; http://www.medicalnewstoday.com/articles/296994.php.